In “X-Men: The Last Stand,” the final chapter in the “X-Men” motion picture trilogy, a “cure” for mutancy threatens to alter the course of history. For the first time, mutants have a choice: retain their uniqueness, though it isolates and alienates them, or give up their powers and become human. ARghh!! I can’t wait to watch this movie!! Can’t Wait!! Can’t Wait!! Can’t Wait!! Can’t Wait!! Can’t Wait!! Can’t Wait!! Can’t Wait!! Can’t Wait!! Can’t Wait!! Can’t Wait!! Can’t Wait!! I used to secretly read my brother’s precious comic which he actually wrapped in plastic *amazed* He wouldn’t let me touch it because it costed him a bomb to collect those comics. 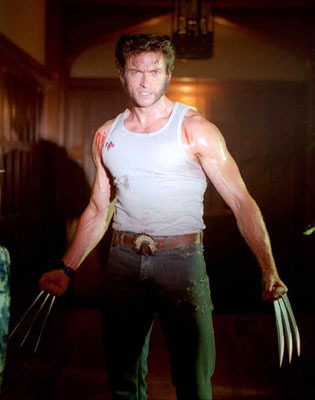 My all time favourite character MUST be woffy Wolverine!! I love Hugh Jackman gruffy voice! View the trailer here! So YENG right?? *drool* Ok, some recap on the first 2 X Men. 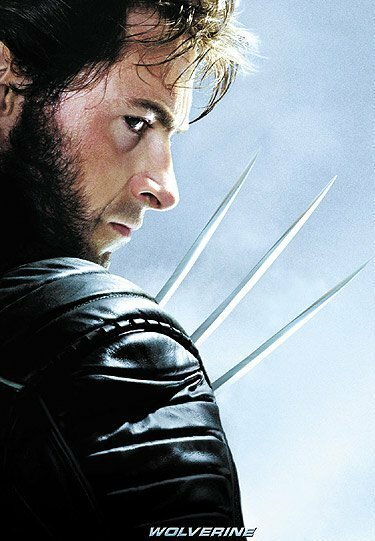 In X1, Wolverine is a wanderer who fights for money and finds himself kicked out of almost everyplace that he has been for the past 15 years. The years before that are a mystery to him as is the dog tag that he wears around his neck. He befriends Rouge and finds himself hooked up with the X-Men. Professor X promises to help Wolverine find his past if he stays at the mansion, thinking that Magneto is after him. But Magneto goes after Rouge and Wolverine must band with the X-Men and help save Rouge and mankind. What’s in store for us in the last and final part of X-Men? I think Jean Grey will be back from the dead and be a very difficult position to either choose Wolverine or Cyclops which we all know very well, Cyclops win. Bahh!! !